Welcome to the highly sought after, tree lined neighborhood of Bryn Mawr! This 3 bedroom, 2 bath home has recently been fully renovated and meticulously maintained. The recent renovations include fresh interior and exterior paint, a new kitchen with stainless steel appliances and granite countertops, waterproof vinyl plank flooring, new lighting fixtures, new windows, a new master bath with a glass enclosed travertine shower, a new guest bathroom with a subway tile tub enclosure, a paver driveway, and a sundeck. As you walk inside, you will be welcomed by cathedral ceilings and a fireplace in a living room with an open concept to the kitchen and dining area. In the backyard, youâll find mature tropical landscaping, a fire pit, a hot tub, and a sundeckâ¦..perfect for watching sunsets or drinking your morning coffee. Just steps away from the house, youâll find the community clubhouse (which can be rented for large occasion), as well as tennis courts, a pool, and full access to Lake Porter! 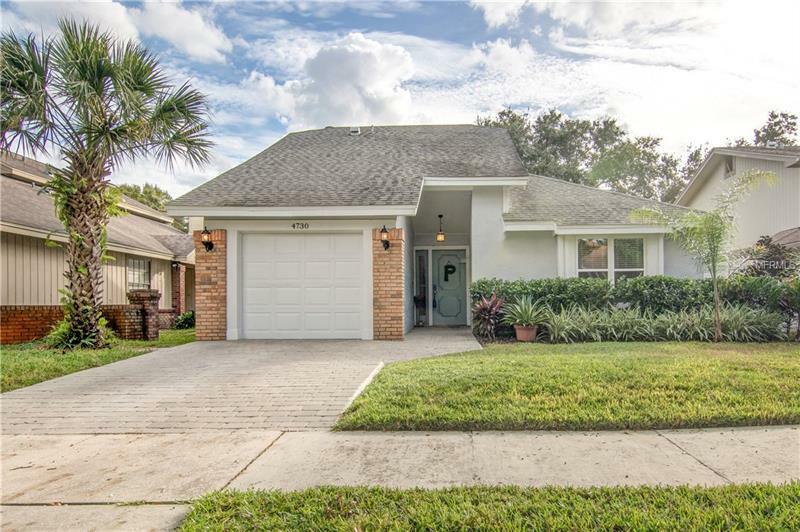 This home is conveniently located a bike ride away from the up and coming Hour Glass District and just minutes away from downtown Orlando, Baldwin Park, Sodo, the Lee Vista Promenade, the Orlando International and Regional Airports, and multiple boat ramps to the Conway Chain on Lakes!